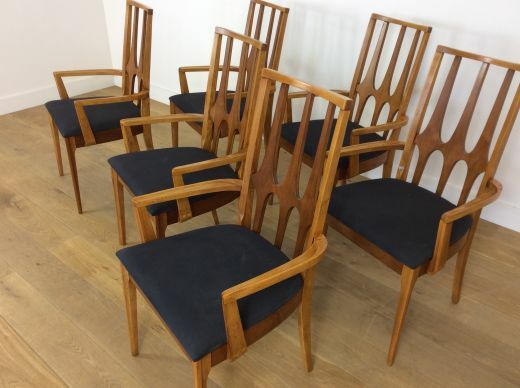 Brasilia Walnut dining chairs manufactured by Broyhill. 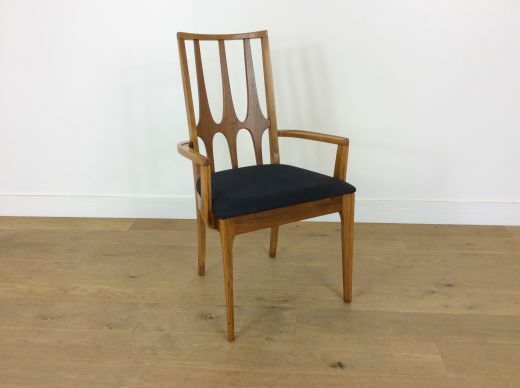 The Brasilia was designed by Broyhill in 1962, inspired by the esteemed Brazillian Architect, Oscar Niemeyer. 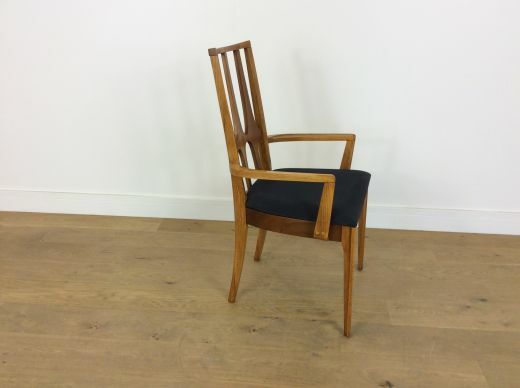 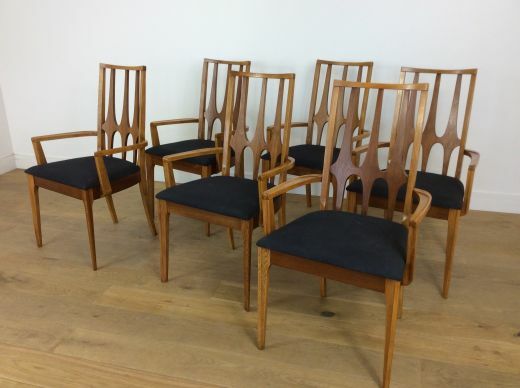 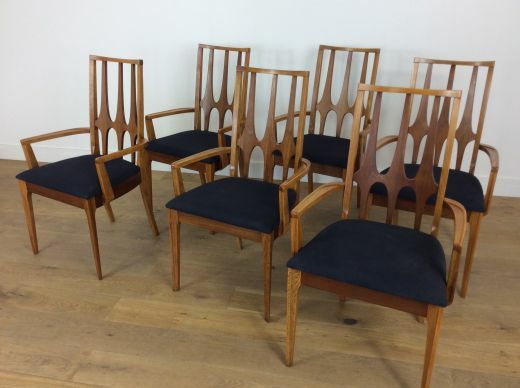 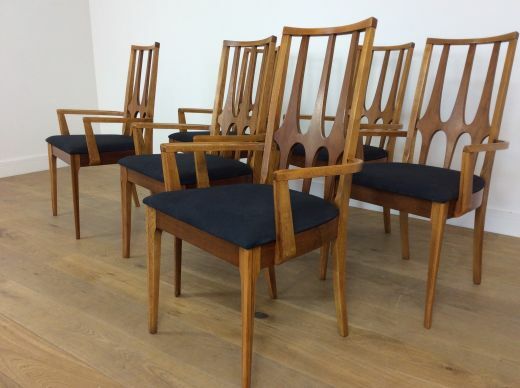 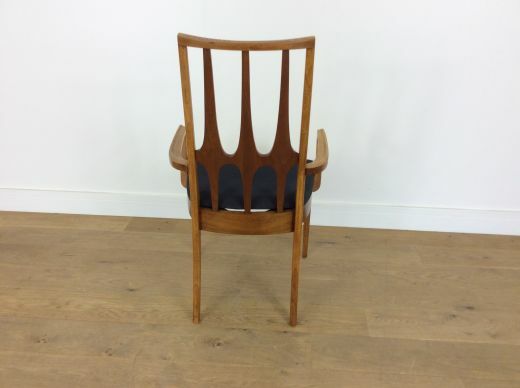 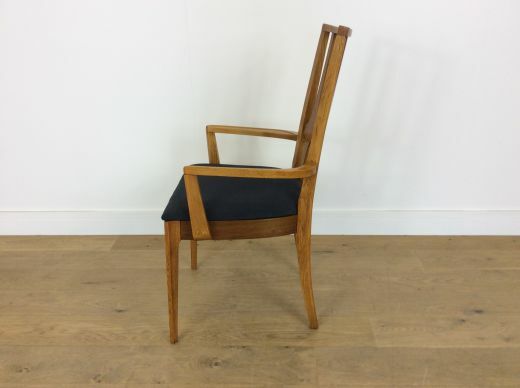 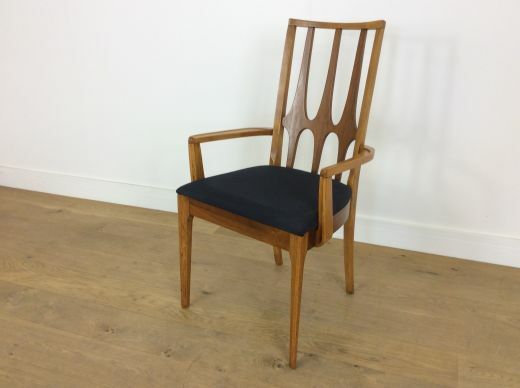 Set of six mid century dining chairs all carvers.